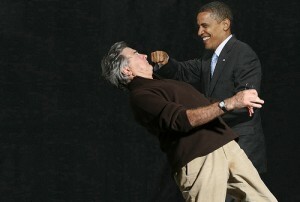 Fist bumping with Obama is my dream! Thanks for the linkback! How wonderful was this idea? I\’m just jealous I didn\’t get to do it! Fantastic idea! I think I will find someone with photoshop to do this for me!